Tired of your everyday jewelry but don't have the dollars to ~splurge~ on new baubles? What if I said you could have both new jewels AND still be able to feed yourself? 1. 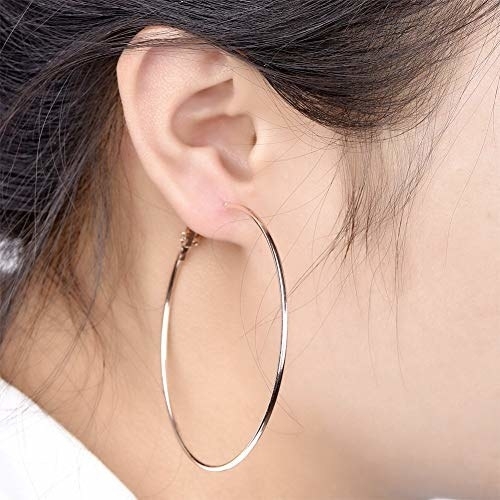 Three pairs of stainless steel hoops, to get your hanging earring collection off to a good start. If you're newly interested in hoops and not sure if you'll like the way they look on you, this is a great starter set. It comes with gold, silver, and rose gold pairs that'll match all of your outfits. Get a set of three from Amazon for $8.99. 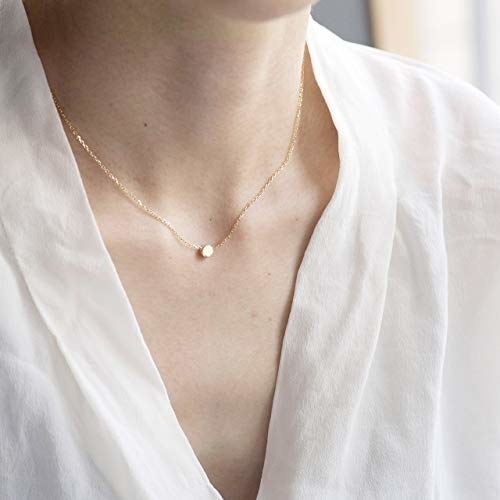 Delicate necklaces are kind of my ~thing~. I have tons of them and never get tired of receiving them as gifts. 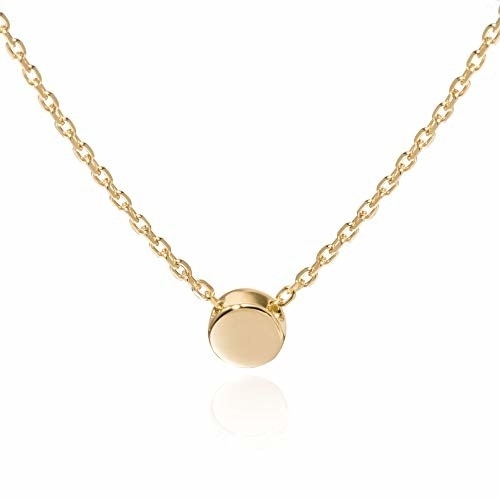 This circle pendant would be a perfect addition to any jewelry lover's collection — even if they already have a bunch of similar items. 3. A bralette body chain for taking any going out look you've got to the ~next level~. Get creative with your jewelry! Add this high-polished beaded body chain to a basic tank for an outfit that'll leave everyone envious of your accessorizing skillz. 4. 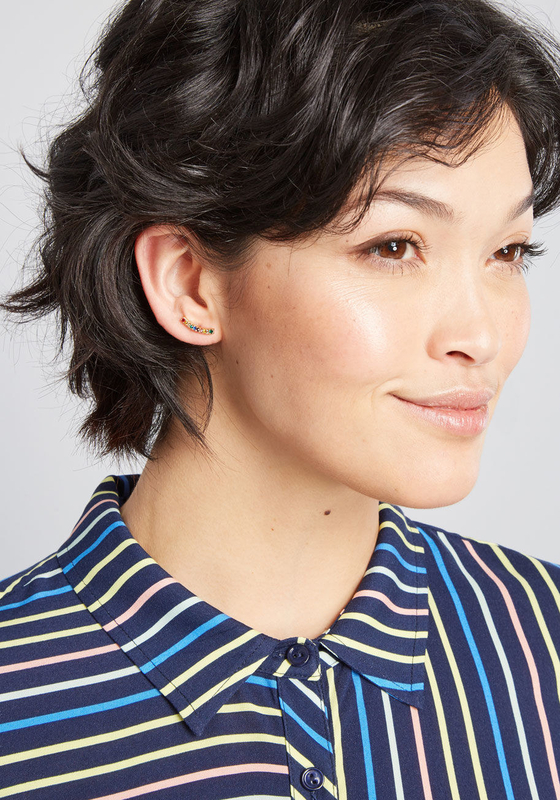 A stunning pair of hoops that'll act like a cuff and hug right onto your ear — no extra unwanted space! 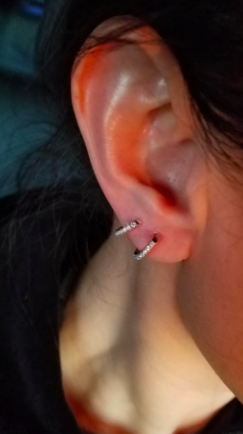 I have three piercings on each earlobe (plus a cartilage piercing) and am always on the prowl for a cute set to add to my collection. 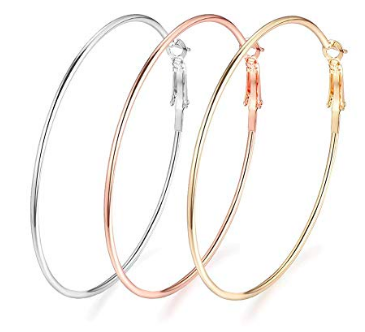 After spotting these simple but pretty hoops, I'm definitely adding them to my Amazon cart. Get it from Amazon for $12.99 (available in six styles). 5. A simple necklace with five baguettes made of rose gold and simulated morganite to fool everyone into thinking you're wealthy. Right now I'm verrrry obsessed with rose gold, but naturally can't afford to do a major overhaul of my jewelry collection. Simple pieces like this one are just dazzling enough to appear like they cost way more than they do. Fab, right? Get it from Walmart for $10.88. 6. 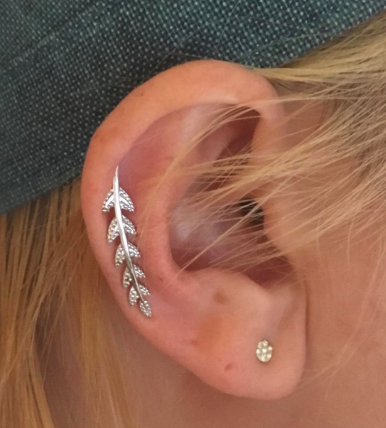 A leafy ear crawler that can be worn a bunch of different ways, making it one of the most versatile pieces of jewelry you'll own. Not only does this ear crawler look very cool, but it's also hypoallergenic. It's ideal for anyone who wants to test out this trend without having to worry about unpleasant reactions. 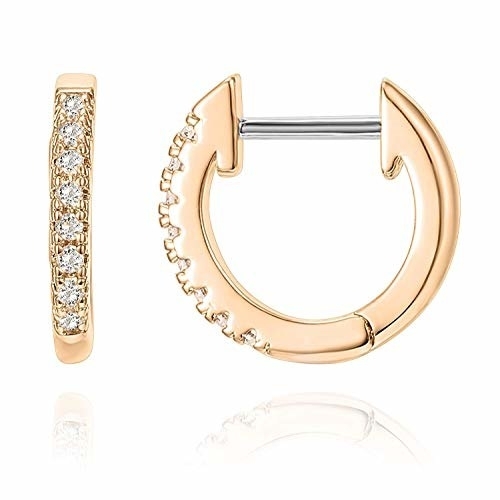 Get a set of two from Amazon for $19.99+ (available in silver and gold tones). 7. A simple elephant pendant, perfect for you if you're always obsessing over those gentle giants. 8. A rhinestone choker, because every '90s kid deserves an upgrade to their fave accessory. Get it from Free People for $9.95 (available in two styles). 9. 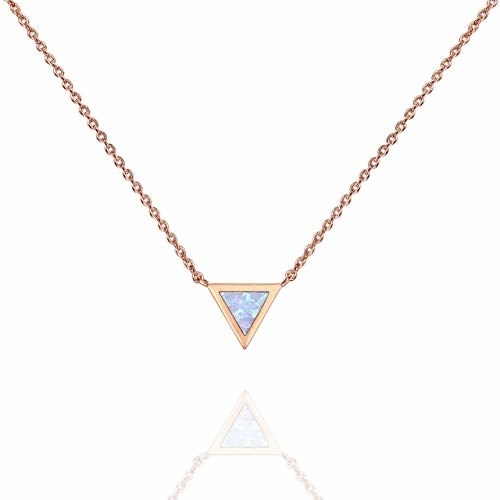 A gold-plated triangle necklace that'll impress even the pickiest of fashionistas. Get it from Amazon for $14.99 (available in three styles). 10. A set of nine lotus-inspired earrings for the look of a cuff but the feel of a simple stud. This style of earring is so fun! I love that they are styled around lotus flowers and how unique each pair looks. Definitely need these in my life — and so do you. Get a set of nine from Amazon for $11.99. 11. A coin bracelet that looks so decadent no one will ever believe it costs less than $6. Jewelry featuring coins is very trendy right now, but can be super expensive. Don't break the bank on this one — pick up this stretchy bracelet with etched coins and beaded accents. 12. 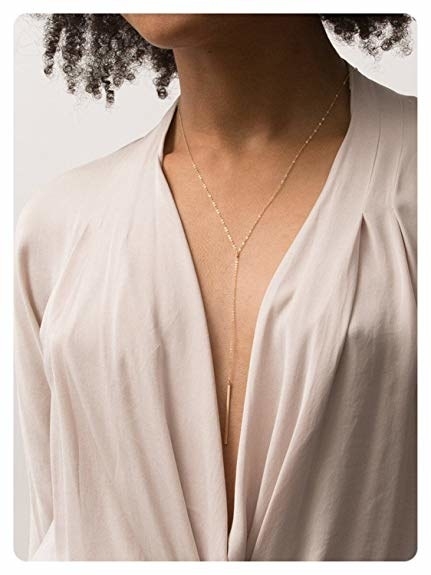 A Y-necklace to play up any V-neck or dress you already have in your closet. 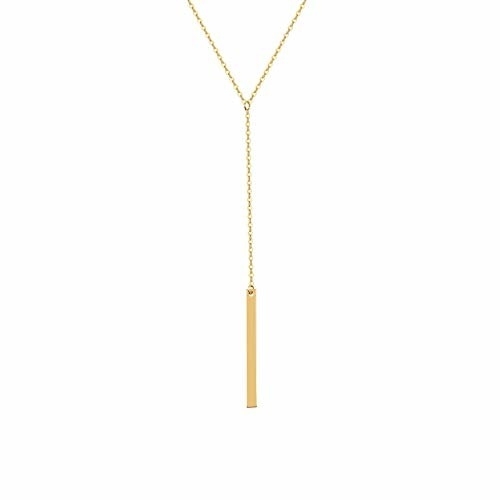 When it comes down to it, this necklace is just a simple Y-shaped chain. And honestly, that's all you need when you're already wearing a shirt that makes a bold statement! Get it from Amazon for $9.99+ (available in seven styles). 13. 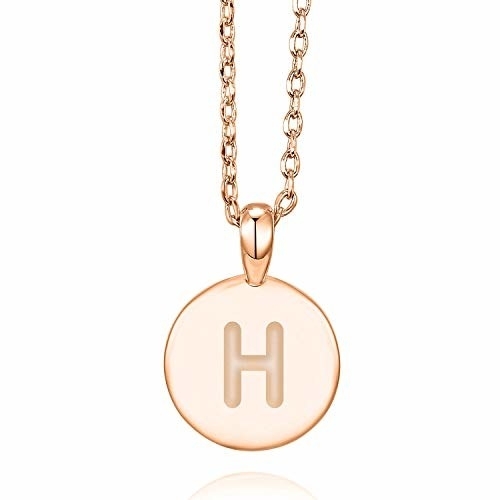 A delicate initial necklace, in case you prefer simple jewelry you can wear every day. 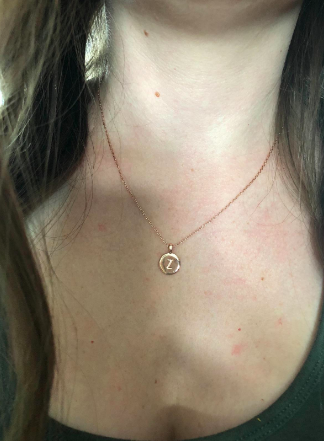 ...or so you can scream-sing the Taylor Swift lyrics "I want to wear his initial on a chain 'round my neck not because he owns me but 'cause he really knows me." Either way! Fab purchase. Get it from Amazon for $12.95 (available in 26 styles). 14. A set of six earring pairs, presented on a seed-paper backing you can then plant to grow your own flowers. This set would make for the perfect gift! 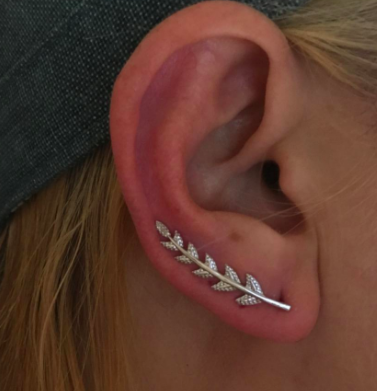 I love that they can be used to jazz up your entire ear's worth of piercings and of course that they come with seed paper. From love and good vibes to travel and creativity, each set is designed to inspire a certain goal. Obsessed. Get it from Free People for $28 (available in four styles). 15. A lotus necklace that symbolizes new beginnings for a fresh start each morning when you clasp it. 16. Stackable eternity bands that'll make you want to jump around and perform the "Single Ladies" dance like Beyoncé. 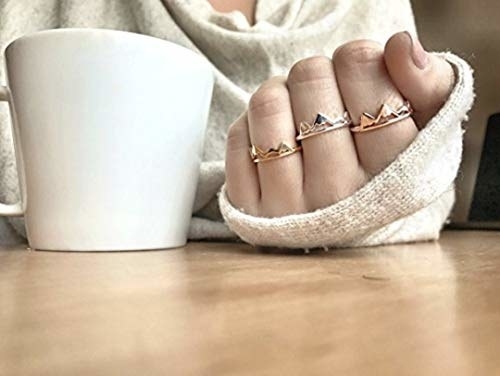 Add some glitz and glam to your digits by purchasing these stackable rings in every style! Get it from Amazon for $9.99+ (available in four styles). 17. An initial necklace for the couple who are still in their lovey-dovey, PDA-filled honeymoon stage. 18. 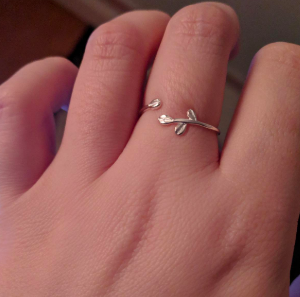 A symbolic olive branch ring that'll bring good vibes to your wardrobe or make for an excellent "please forgive me" gift. Get it from Amazon for $11.99 (available in three styles). 19. A personalized necklace of a baby's heartbeat in case you've been dying to bring the soon-to-be parent in your life to tears. 20. 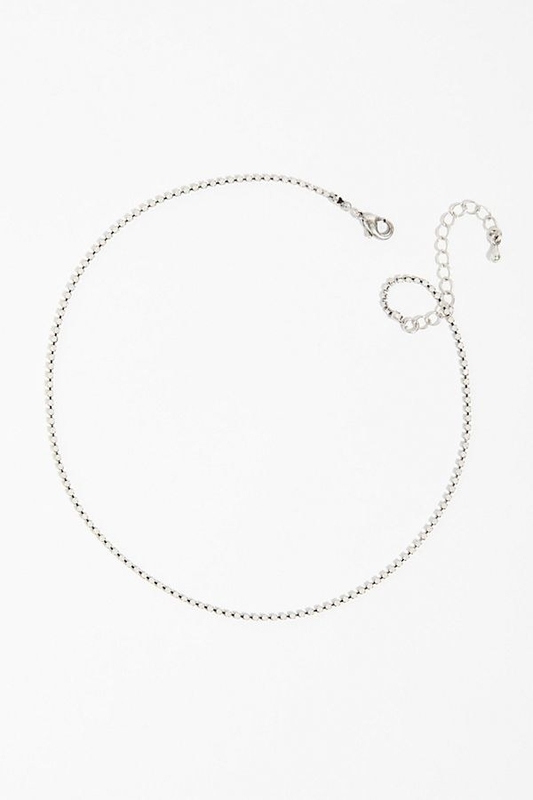 A simple opal choker that'll help provide sustainable water in Africa (yes, really!). This necklace is so much more than it appears! It's sold by Benevolence Los Angeles, which promises to contribute $5 of each purchase to a sustainable water system in Africa through their charity partner H4O. 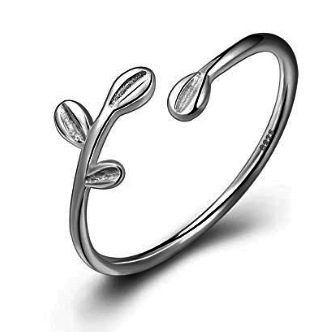 This is a wonderful gift for someone (like YOURSELF) who loves dainty jewelry and giving back. 21. Midi rings, because why should the middle of your fingers be left out of all the accessorizing fun? 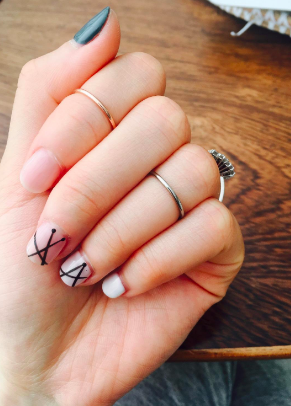 If you're too cool for regular ol' rings, give these trendy midi rings a try! Get a set of three from Amazon for $8.99+ (available in three styles). 22. 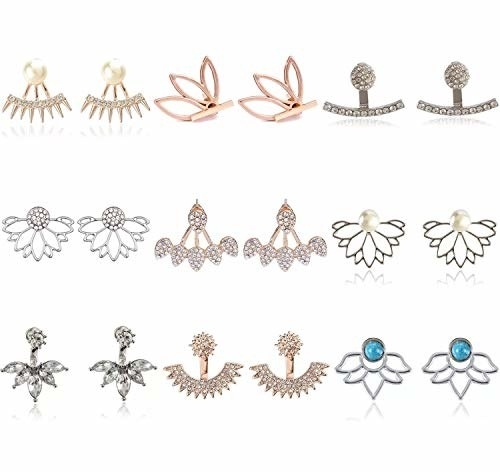 A pack of six studded earring pairs you can mix 'n' match, ideal if you have multiple piercings. If you're indecisive about what earrings to wear, this is a fabulous set for you! It comes with six different pairs, so you can rotate through them all week long. I personally love the pressed flower ones and the seashells — so cute. Get it from Free People for $28 (available in three styles). 23. A ~healing crystal~ necklace so gorgeous and classic you could wear it every day to channel good vibes. Not only will people think you picked up a rare find, but you'll be able to welcome positive vibes into your everyday life through this trinket. Sounds like a winner to me! Get it from Honeycatus on Etsy for $21 (available in 10 styles). 24. A lunar necklace that is a must-have if you're one of those people that shouts, "Look at the moon!" no matter what phase it's in. 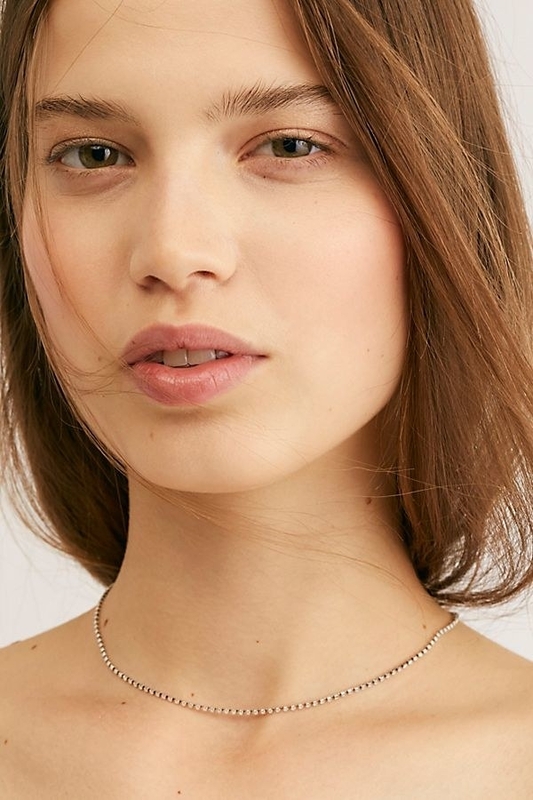 This necklace is delicate and comes in a variety of moon phase — definitely Neil Armstrong–approved. 25. 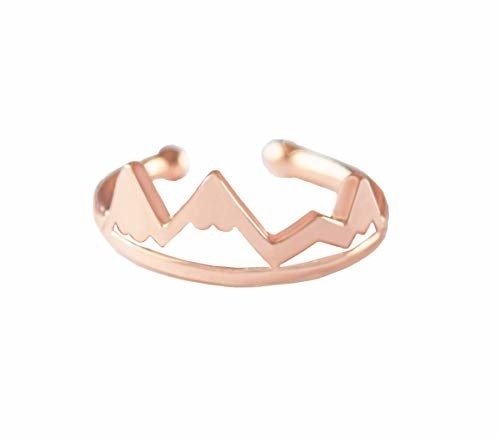 A mountain ring to represent your love of adventure and to take your jewelry collection to ~new heights~. This adjustable 'lil guy can be worn on any finger, making it the ideal ring to go with any of your current jewelry. You're welcoooome. Get it from Amazon for $9.80 (available in four styles). 26. 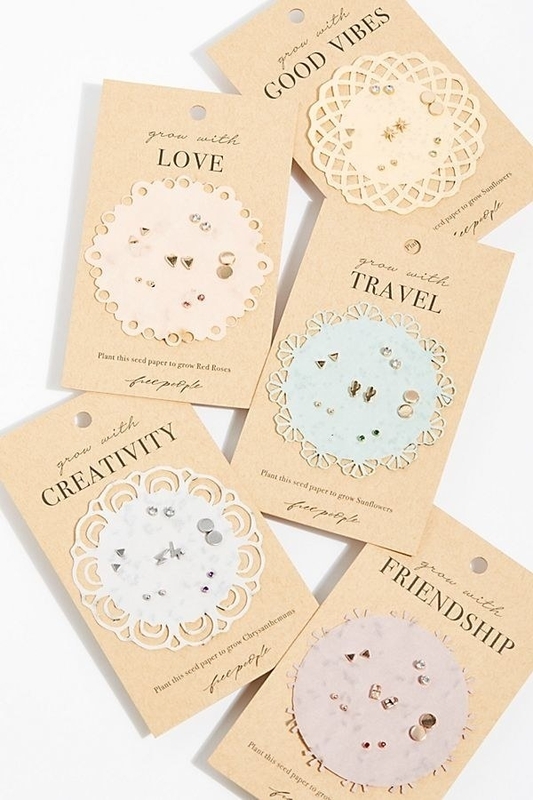 Or a set of mountain studs, so you can really pay tribute to the wanderlust you've been feeling. Whether you live for the great outdoors or you simply love to travel, these tiny mountain earrings are sure to bring a smile to your face. 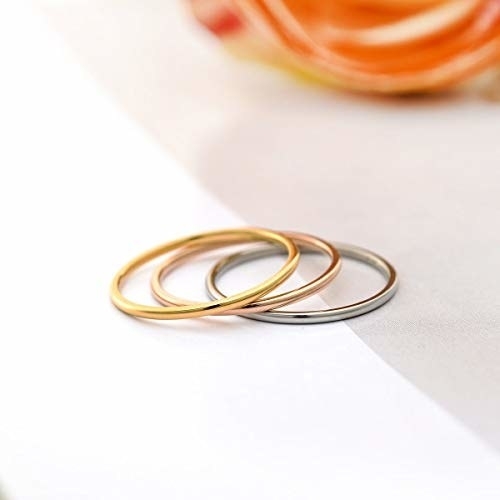 They're about a half-inch long, making them perfect for incorporating into your everyday looks. Get it from miaandmac on Etsy for $10 (available in gold and silver). 27. 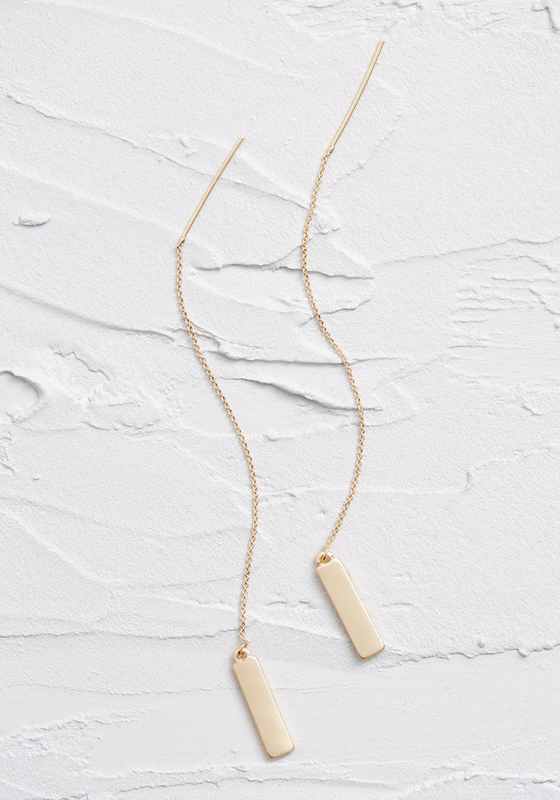 Matching necklaces for you and your BFF to share (because how PRECIOUS is that?). 28. A Cinderella-inspired bangle that'll motivate you to keep on keepin' on (while looking fancy at the same time). To say I'm in love with this product would be a massive understatement. I own seven different styles and even gifted each of my bridesmaids one as a thank-you for being in my wedding. With so many sweet Disney quotes to choose from, you can really find the perfect bracelet for anyone in your life. My personal favorite is the "have faith in your dreams" bangle — I wear it every day to keep the magic of Disney with me at all times. Get it from Lillian & Co. for $32 (available in three styles). 29. 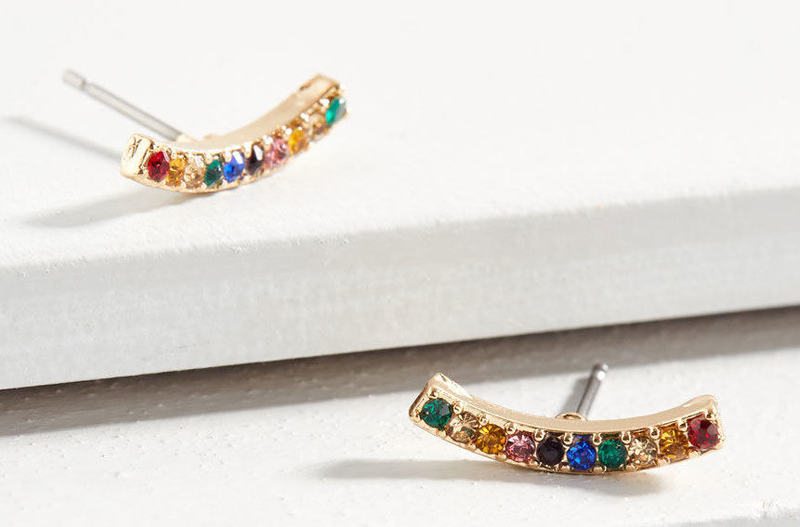 Subtle rainbow earrings, ideal for matching literally every outfit you own. You know what's probably inside the pot of gold at the end of the rainbow? 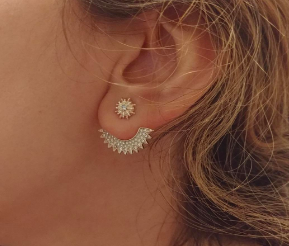 These earrings. They're not overpowering at all and definitely will add the little splash of extra color you're looking for. 30. A raw amethyst ring that may look like you dropped a wad of cash on it, but actually costs less than $30. The combination of the copper band with the purple amethyst is simply dazzling. Excuse me while I buy one for me and for you. Get it from BuddhaBlossomJewels on Etsy for $29.99 (available in sizes 1–16). 31. Handmade stacking bracelets made of glass beads, so unique you'll actually want to brag about them to anyone who will listen. How fantastic is this accessory? Sorry in advance, you're going to want to wear this bracelet every single day and will likely purchase enough to fill up your entire wrist. Get it from ToccoDiLustro on Etsy for $29+ (available in sizes 6"–8" and in five styles). 32. 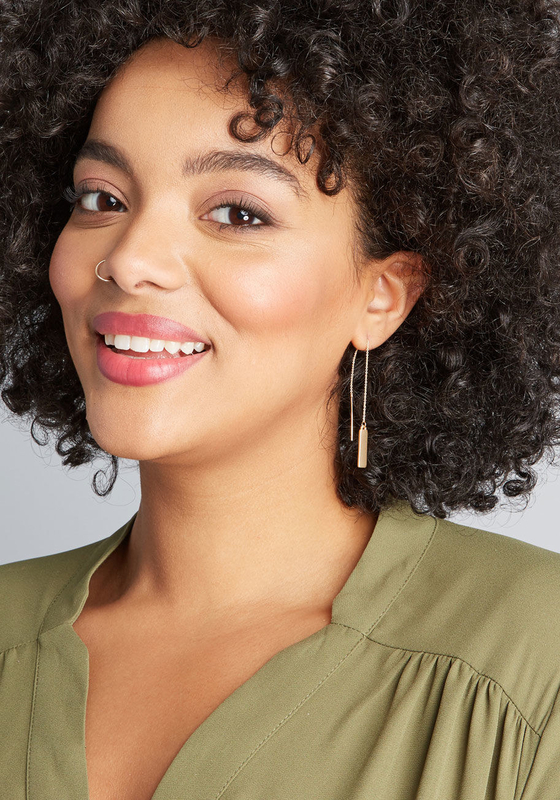 Minimal threader earrings to flawlessly accent your Ariana Grande–style ponytail. If you often finding yourself without time to intricately do your hair (and who DOES have that kind of time? ), you might as well pick up expensive-looking earrings like these to make your look still feel classy. 33. A nameplate necklace so, just like on Cheers, everybody will know your name. 34. And a package of assorted high-polish rings featuring faux gems, rhinestones, and filigree bands to scream "IT'S EXPENSIVE TO BE ME." Erika Jayne is shaking in her over-the-knee boots. Pick up this set of eight rings and get ready to be asked over and over "where'd you get that ring from?" each time you wear a different one. OR go all out and wear 'em all at once like the diva you are. Get a set of eight from Forever 21 for $9.90 (available in sizes 6–8).